There are so many streaming services available to movie fans that it took me a while to find my way to Kanopy, but once I did, it immediately became a part of my viewing rotation. That is because this fabulous company lets patrons of participating libraries stream great films for free on platforms like Roku, Apple TV, Chromecast, and web browsers. We’re talking offerings from labels the likes of Criterion Collection, Milestone Films, and Kino Lorber. 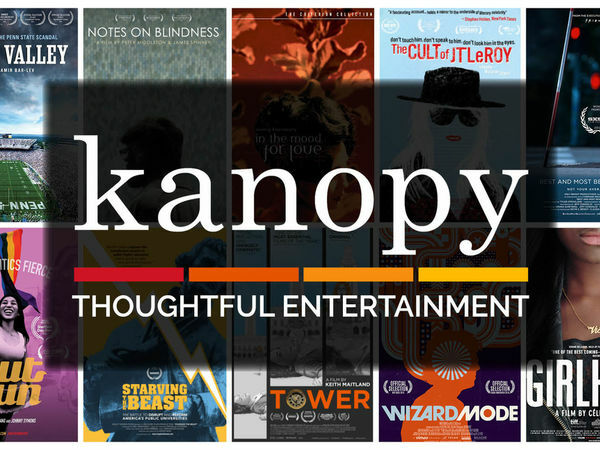 Kanopy began as a service to increase access to cinema for university students in Australia. You can see those academic roots in the title selection, as in addition to narrative films, there’s a lot of documentaries in the mix, including several PBS titles. Eventually Kanopy expanded to universities in the United Kingdom and the United States, and more recently, public libraries. Now it is available to a much wider audience, as movies can be viewed via public libraries in cities such as Los Angeles, Seattle, and Chicago. The Kanopy layout looks like an ad-free version of YouTube, with suggested videos queued to the right side of the screen and a section for viewer comments below. As far as functionality and image quality go, it runs smoothly, looks good, and is easy to navigate. The viewing experience tends to be of better quality than Overdrive, another platform used by libraries (and which I still love and recommend). The main page of the streaming site has the standard set up of arranging films in categories for viewing recommendations and offering the capability for a personal viewing list. About the only drawback to Kanopy is that each cardholder is allowed to view only five movies a calendar month. This is of course nothing for your standard movie fan, so it would be difficult to satisfy a full-blown cinema obsession with this service alone. 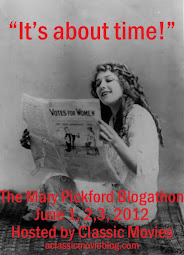 Still, as a supplement to other services it has a lot to offer. It’s also pretty exciting to get that email that you are welcome to enjoy five more movies the first of each month. When it comes to the selection, I’ve found that having a well-curated array of choices has led me to some great titles I’ve never heard of before and inspired me to be a bit more adventurous in my viewing as well. My first month using the service I revisited Jean-Pierre Melville’s Le Samouraï (1967), finally caught up with the brutal, but beautiful Belladonna of Sadness (1973), got in a little over my head with the hallucinogenic Eden and After (1970), and enjoyed the new-to-me comic adventure That Man From Rio (1964) starring Françoise Dorléac and Jean-Paul Belmondo. I finished the month with a re-watch of Michelangelo Antonioni’s L’Eclisse (1962). As a supplement to other services and discs, Kanopy is a great way to explore high quality films from around the world and across time. I’m glad to have an additional, budget-friendly viewing option. "That monthly limit seems to vary from library to library, too. One user of the New York Public Library said that they are allowed 10 items a month. I'm a patron of the Kansas City Missouri Public Library and they allow 12 a month, and they give you three days per video to view them." Thank you for the additional information Mark! Kanopy is a wonderful streaming service with a nice mix of academic/educational videos, classic films and oddball rarities (silents, documentaries, weird foreign horror thrillers etc.). One cool highlight is a variety of lectures from the Great Courses collection, which can be expensive to purchase. Some of the courses run to 24 lessons, though, and each lesson counts against your monthly limit. That monthly limit seems to vary from library to library, too. One user of the New York Public Library said that they are allowed 10 items a month. I'm a patron of the Kansas City Missouri Public Library and they allow 12 a month, and they give you three days per video to view them. Thank you for the info. about the streaming limits Mark. I'll add that to the post. Interesting about the Great Courses as well. This service is amazing! Ooh – this looks like a terrific resource, even if there are monthly/yearly limits. Thanks! I have found so many great titles just because this site is so well curated. It's like a more modest version of FilmStruck.